Just when you thought you couldn’t enjoy the benefits of a full featured swimming pool in a small backyard; Leisure Pools is proud to introduce you to the Esprit. 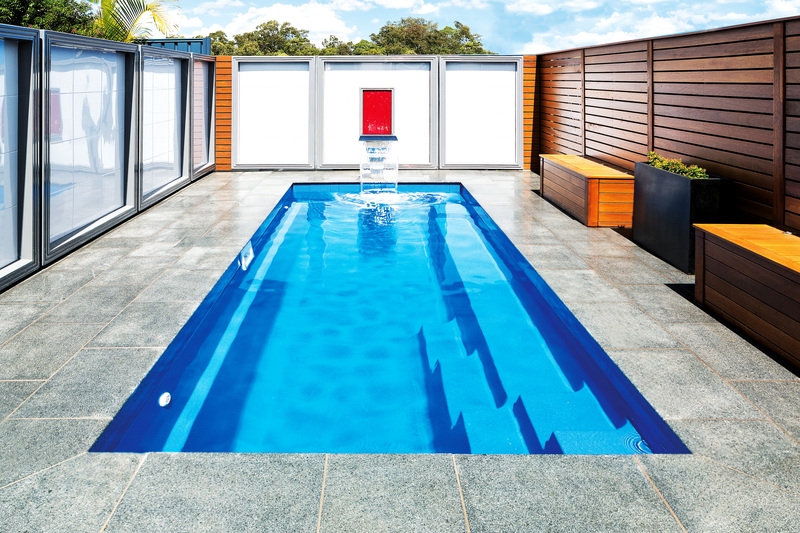 Leisure Pools latest edition to its range, the Esprit, includes all of the great features of our Harmony pool but redesigned into a beautiful compact package that will fit almost any backyard. The Esprit is a generous 5.70m long pool with enough space to swim and relax. It also incorporates a flat bottom floor which is perfect for playing games. The Esprit also includes a long bench seat running down the length of the pool allowing children to swim and walk up and down the pool and gives Mum and Dad the chance to sit and relax in the water. 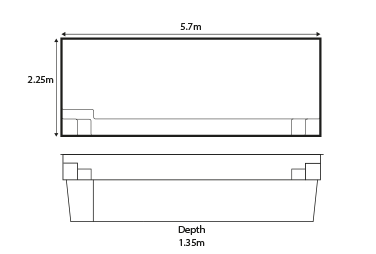 The bench design also allows you to install the Esprit in very tight spaces next to the house or a boundary fence. 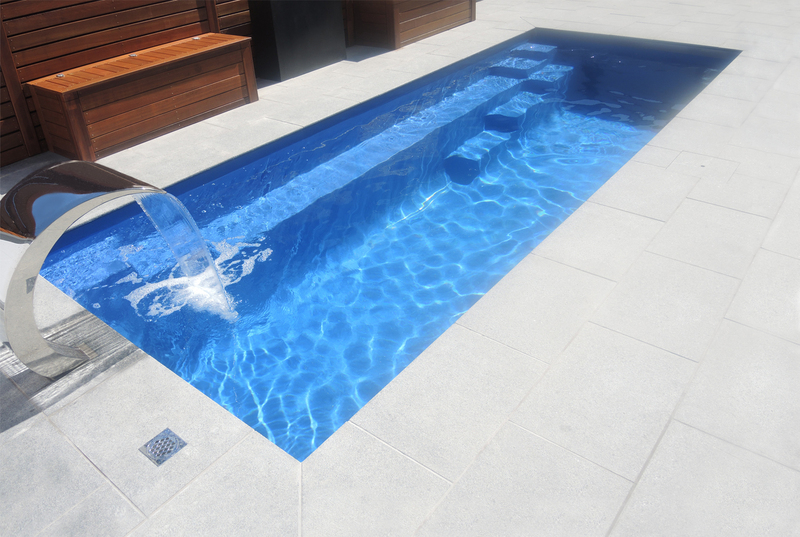 For added benefit the Esprit is the perfect pool to have swim jets installed which allow you the benefit of swimming but in a small space. Exit points at both ends of the long bench also make the Esprit versatile to install. 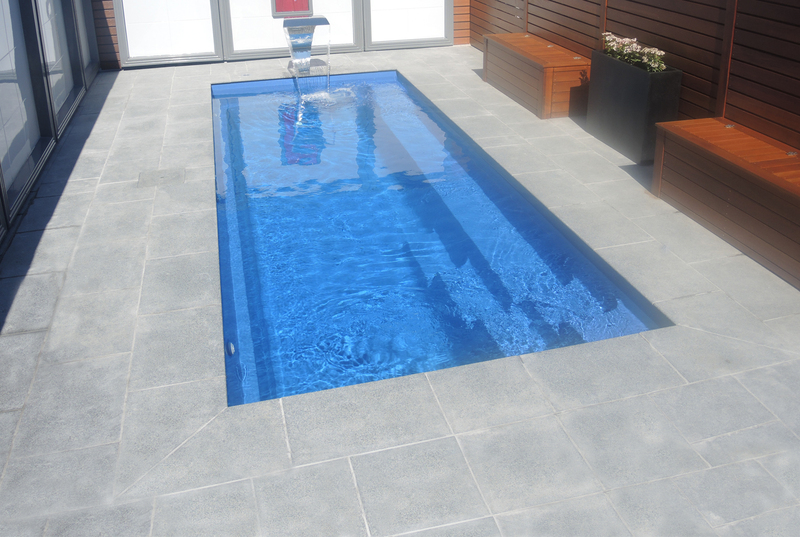 The new Esprit from Leisure Pools – the full featured pool for a small space.